The machine may start with only one trigger switch pressed. The engine may also operate at a faster speed and/or the blades may keep moving briefly after the trigger is released. This could injure the user and bystanders. 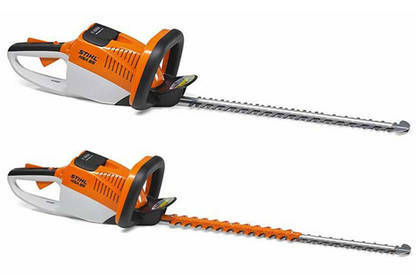 The hedge trimmers were sold at STIHL SHOPs and stockists from 2010 to 2014. Stop using your cordless hedge trimmer. Return it to your nearest STIHL SHOP or dealer for a replacement. For more information, contact STIHL Limited by emailing info@stihl.co.nz. You can also complete its Contact Us form online.